With very large righting moment and stability often the only signal you need to reef down is the numbers on the apparent wind indicator , Multihull sails have to be built to resist the high loads generated .all fittings have to have a much higher specification than a comparable size yacht . when a rotating mast is fitted with the required diamond and diagonal stays the batten and slide system is put under extreme pressure by the angular movement of batten and mast , battens have to be strong enough to cope with local impact on rigging . several different batten sections with corresponding batten boxes are available from round to H section , selection depends on the rig type , fitted blocks at reef points are an option for slab reefing but are must have for single line reefing . we can supply and fit most of the quality track sliders ,Harken ,Ronstan,Sailman etc careful selection to fit the mast extrusion or fitted track is required with the correct load rating . 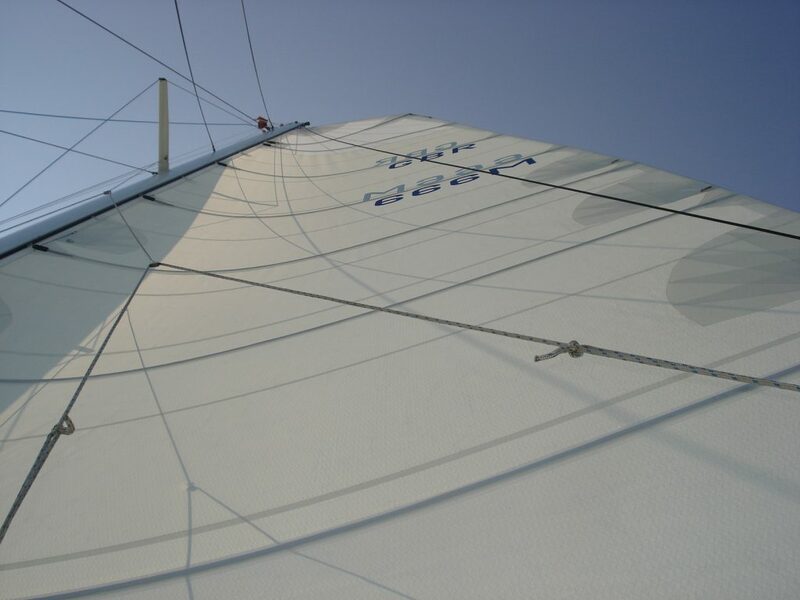 High aspect jibs with vertical leach battens are the most efficient for high speed sailing as fitted on the Racing Multihulls but for cruising and light winds the low aspect long foot Genoa comes in ,these sails are designed for close sheeting and variable forestay sag . a head width of upto 70% of the foot length can be designed depending on the mast / boom track and fittings . the high roach twists off in gusty winds releasing wind pressure. 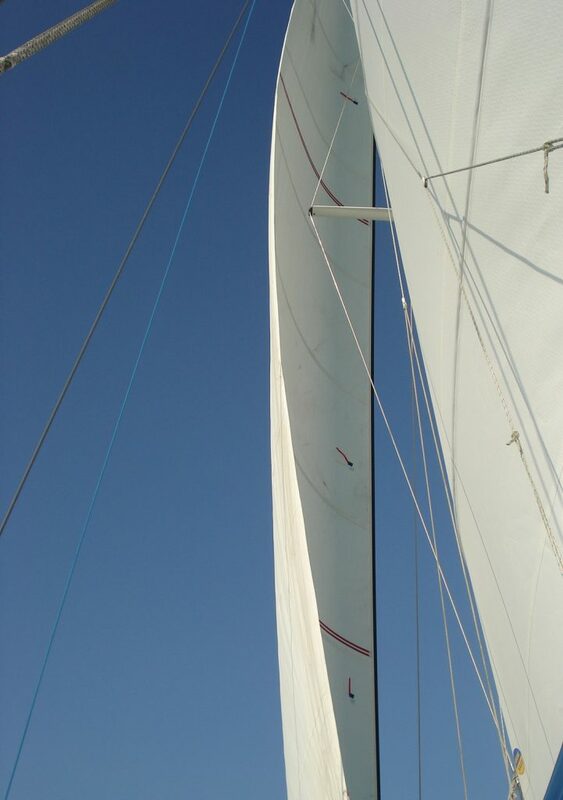 to get the best performance a combined course and fine Mainsheet system is best . Sail fabrics range from low bias stretch Dacrons to double taffeta mylar laminates with high modus fibre.